Auto buyers in Pense and the surrounding Saskatchewan area choose Crestview Chrysler in Regina when they want great deals on a huge selection new and pre-owned vehicles. Whether you’re looking to purchase one of the newest models in the Chrysler lineup or are on the hunt for a great deal on a quality used car, we’ve got you covered with some of the most competitive auto financing available near Pense. 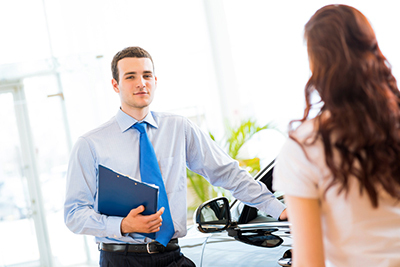 Customer Choice Financing: Unlike most dealerships, at Crestview Chrysler we put the customer in charge. When you choose our popular customer choice financing option, you’ll get to choose the length and nature of your financing plan. Choose to return your vehicle after 36, 48, or 60 months, keep financing your vehicle until the end of the amortization period, or even pay off the remainder of the loan to end your payment plan and keep the car! Building Your Credit Reputation: Our Finance Department helps individuals with all kinds of financial backgrounds get behind the wheel of the car they want to drive. If you have a low credit score, you may find it hard to buy a home, get a low interest credit card, or acquire a loan to start a business. When you take out a car loan at our dealership and consistently make your payments on time, you’ll be able to keep your car while also helping to quickly improve your credit score. It’s a win-win situation! Get Started Now: Financing your new vehicle is just a few easy steps away. If you’re ready for an affordable, high-quality vehicle from our dealership, all you have to do to start is fill out our easy online financing application. After that, someone on our friendly and knowledgeable finance team will be in touch with you as soon as possible. If you’d rather come in and check out our selection first, take a test-drive and then talk to one of our financial experts face-to-face about the best plan for you. Crestview Chrysler is the chosen Chrysler dealership of drivers in Pense. Come see us during our regular sales hours Monday through Thursday from 9:00 AM to 8:00 PM and Friday and Saturday from 9:00 AM to 6:00 PM.